It is always a pleasure to go to Reineta. Service is excellent, very accommodating and efficient. Food is healthy and delicious. I have recommended to friends and they have enjoyed the food and service. Love it! Nos ha encantado. El curry y la berenjena exquisitos. Volveremos. This is my third time at Reineta. They do not disappoint! Our table was ready when we arrived, just where we asked. The hostess was welcoming, professional and efficient. The choice of vegan and/or vegetarian dishes was varied and appealing. Food was delicious, service was excellent and the atmosphere relaxed and pleasant. Prices are very reasonable. One of my top favorite restaurants in Madrid. We had a wonderful meal here! The food was uniformly fresh and delicious -- especially the mushroom pate, lentil lasagna and carrot cake. The service was warm and welcoming. Very relaxing and pleasant and we will visit again next time in Madrid. Happy to recommend this to anyone who likes good food -- not just vegetarians! If you want flashy, up-its-own-backside veggie food packed with industrial faux meat and seitan, with dishes that come in tiny portions leaving you feeling a bit ripped off, then this is NOT the place for you. Reineta's priority seems to be top quality vegetable (and sometimes dairy) produce, used to form appetising, homely dishes cooked with skill and good taste. 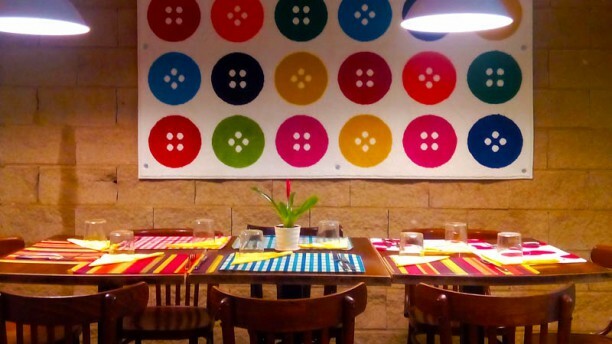 The space is bright and colourful, and the service is such that you feel cared for as well as catered for wonderfully. And key to all this is similarly unpretentious pricing. A meal for two - shared starter, two mains, two deserts and two beers (with complementary jug of water) - came to just over 20 euros a head. Want to chill and eat fresh, hearty veggie/vegan food? This is your spot. Soberbio. A destacar el plato de arroz con wakame. Excelente todo!